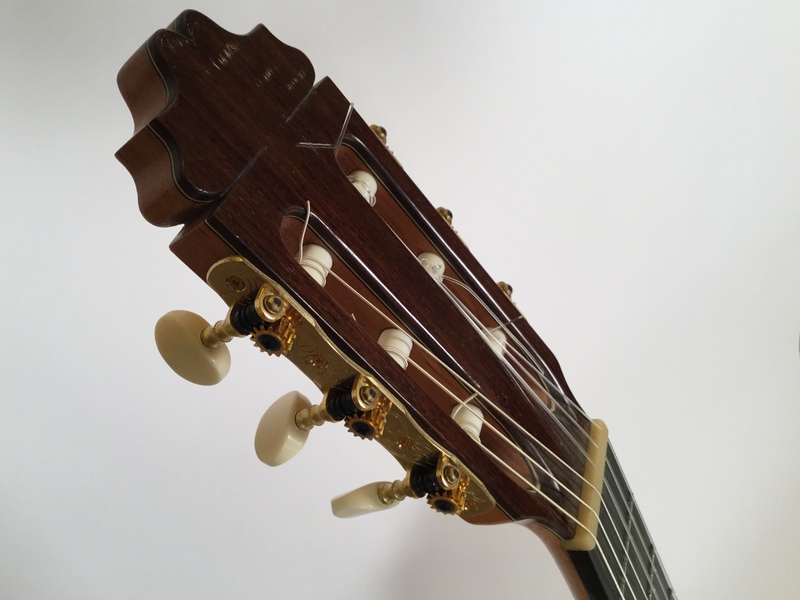 Mark Usherovich spent a brief period of time in the U.S. studying with Tom Blackshear and working to introduce his guitars to American players. 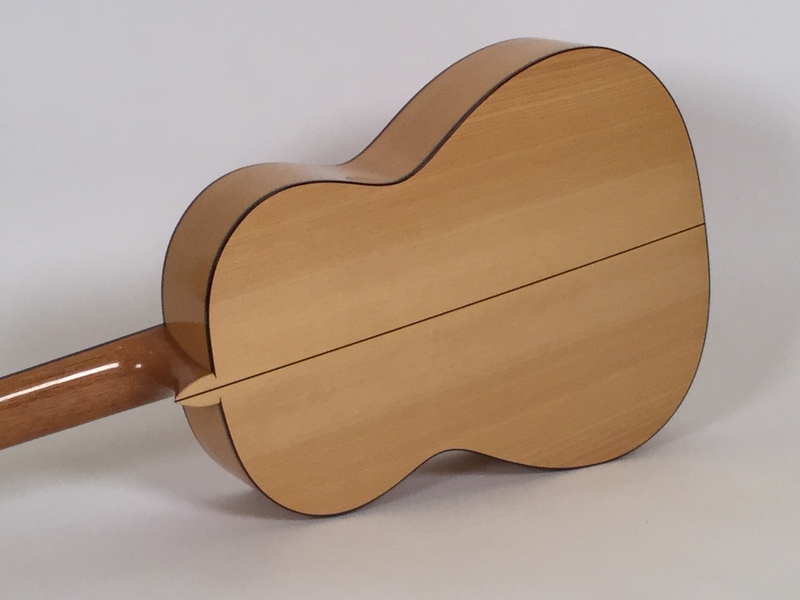 His building is influenced by Blackshear who makes guitars in the style of Miguel Rodriguez. 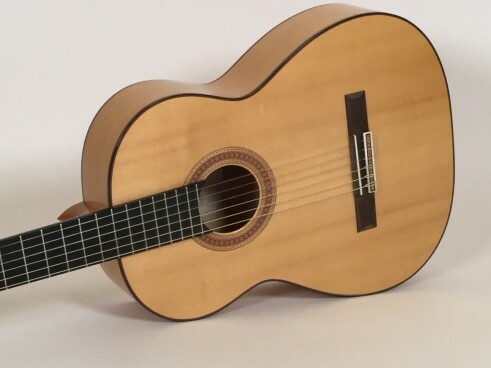 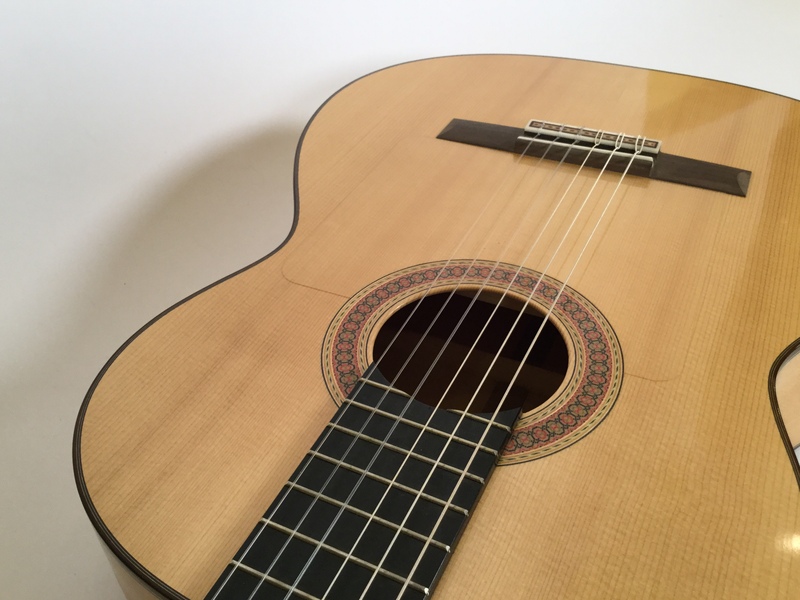 This is a lovely flamenco guiar that is very open with a wonderful bloom typical of the Miguel Rodriguez sound.